Google has come to the conclusion that results obtained through search engines are within the provider’s First Amendment rights. The proclamation is in response to those that have complained that the search giant favors their own products in search results. PCMag points out that Google has denied the practice but even if they did favor their own results, the prioritizing would be protected under Google’s First Amendment right to decide how they want to present information to the user. 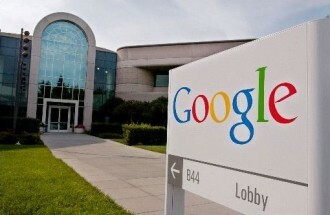 Google has published a report on the matter in association with law professor Eugene Volokh. In it, Volokh says that selective search results are no different than newspapers, magazines or other media outlets that hand-select what content they want to cover and where it should be placed. As such, he feels that any type of government regulation that forces the company to show certain search results would violate Google’s First Amendment right to free speech. Volokh isn’t just speaking on Google’s behalf, but all search engines in general. "Search engines are free to include and highlight their own listings of (for example) local review pages even though Yelp might prefer that the search engines instead rank Yelp's information higher,” he said. Those arguing against prioritized results feel that search engines, specifically Google, are using their dominance to halt the competition. What if Google were to put Zagat reviews, Motorola products and YouTube videos ahead of more relevant results simply because they own those companies? That’s precisely the question that some have posed.